Like many herons, the Black-crowned Night-Heron is a colonial breeder, and is very widespread worldwide, with Australia and Antarctica being the only two continents on which is does not nest. 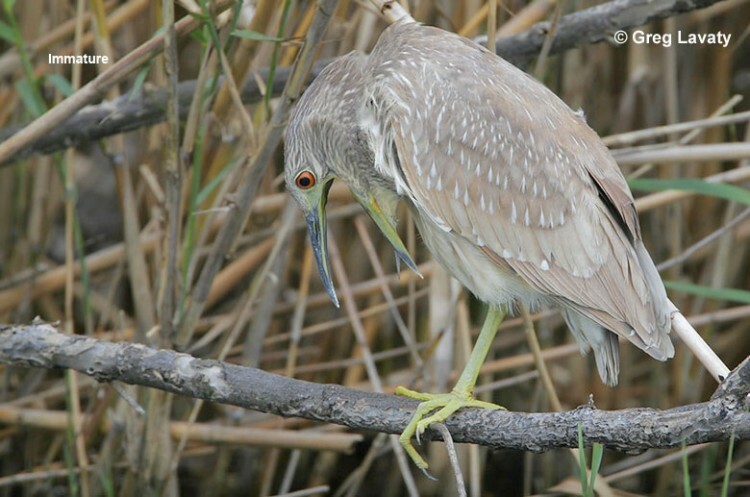 During nest construction, the male Black-crowned Night-Heron presents sticks to the female, who then weaves them into the nest. 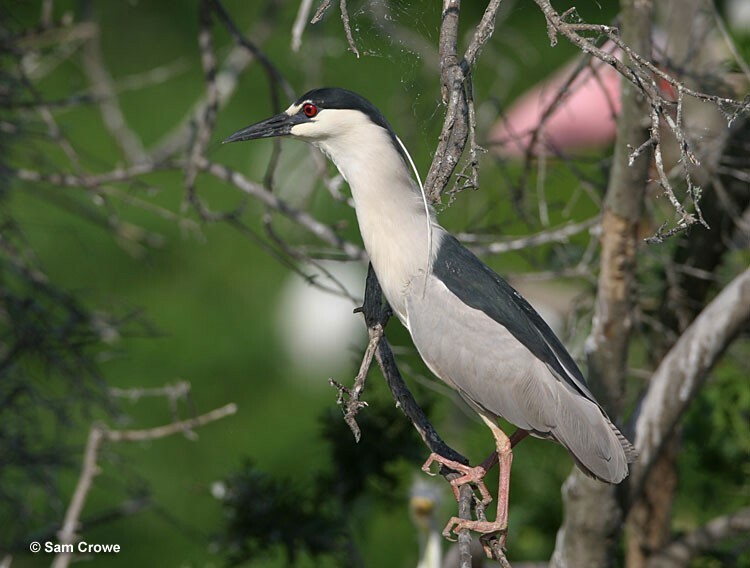 Black-crowned Night-Herons often sleep during the day, and do most of their foraging in the evening or at night. When they have a brood of hungry young, they must get by with less sleep and spend some additional time foraging during the day.